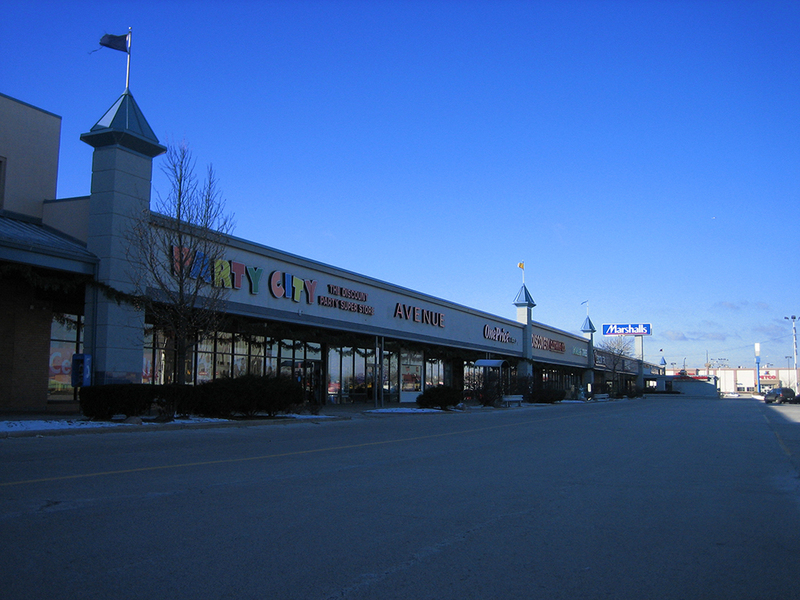 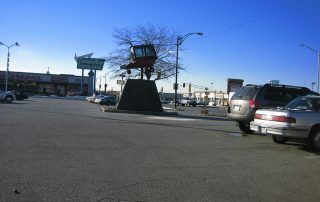 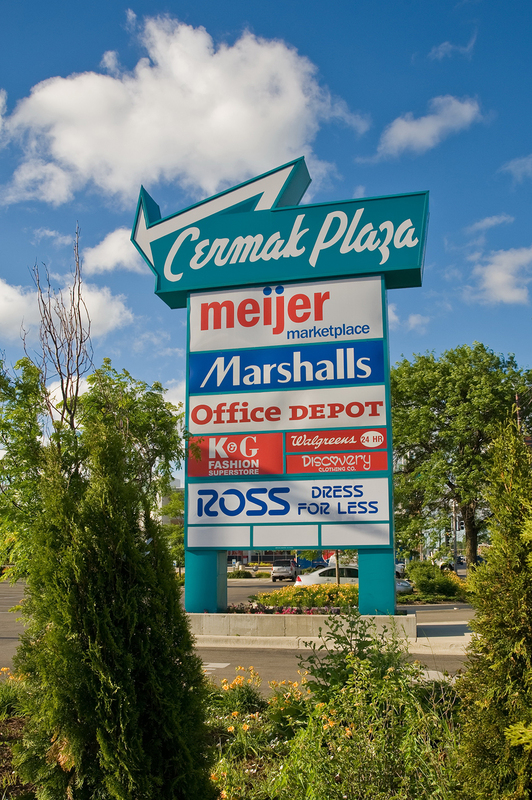 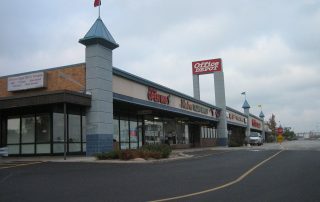 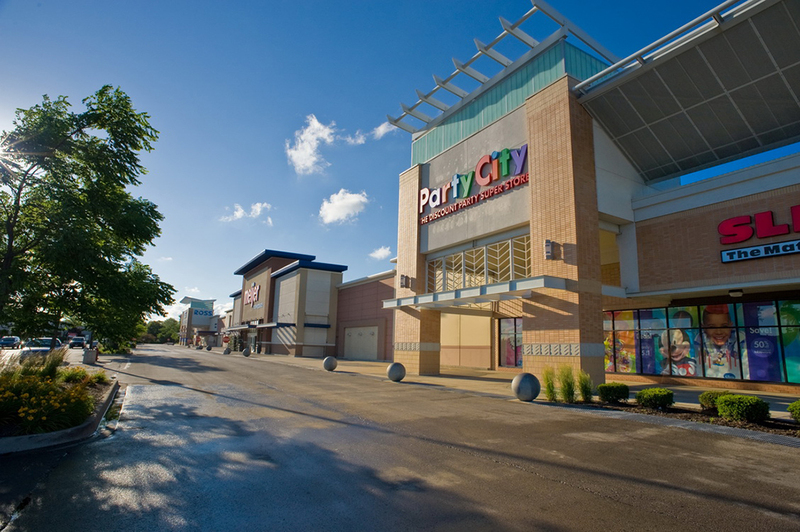 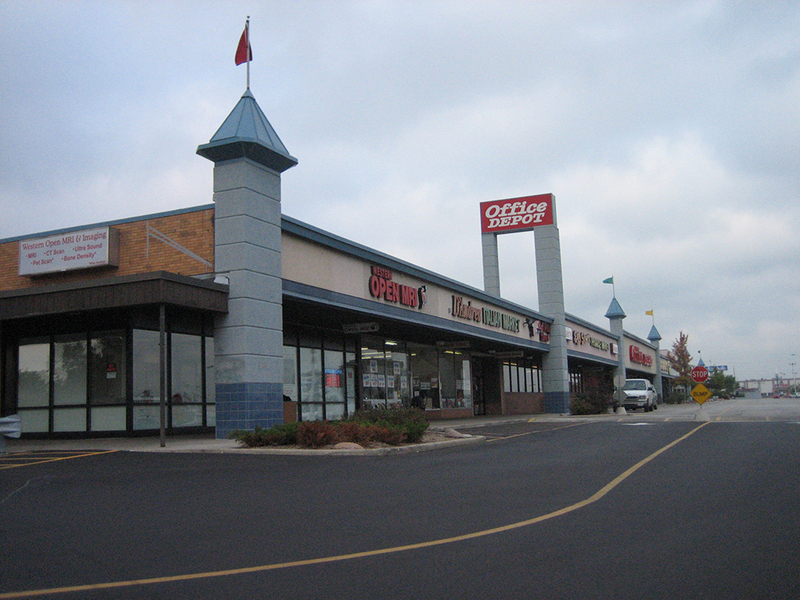 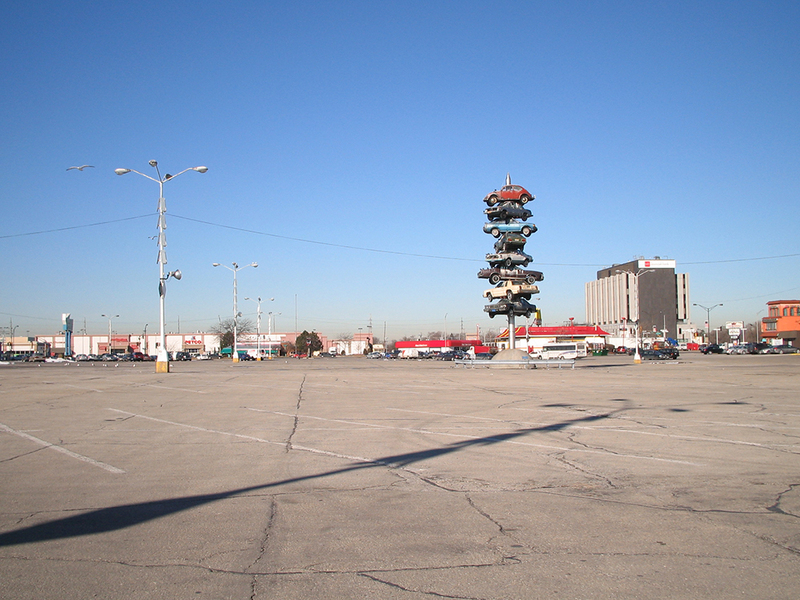 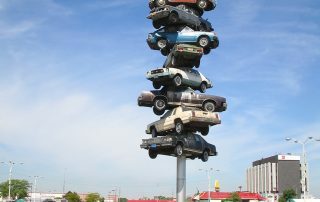 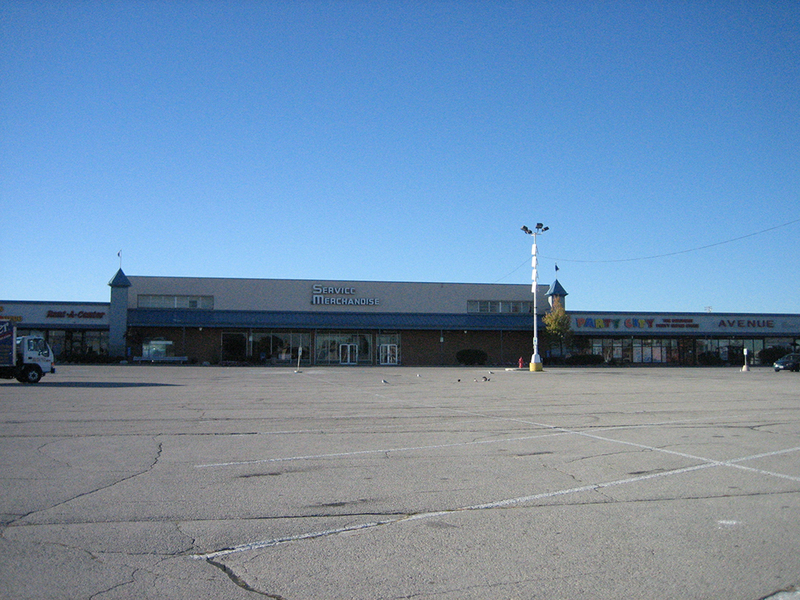 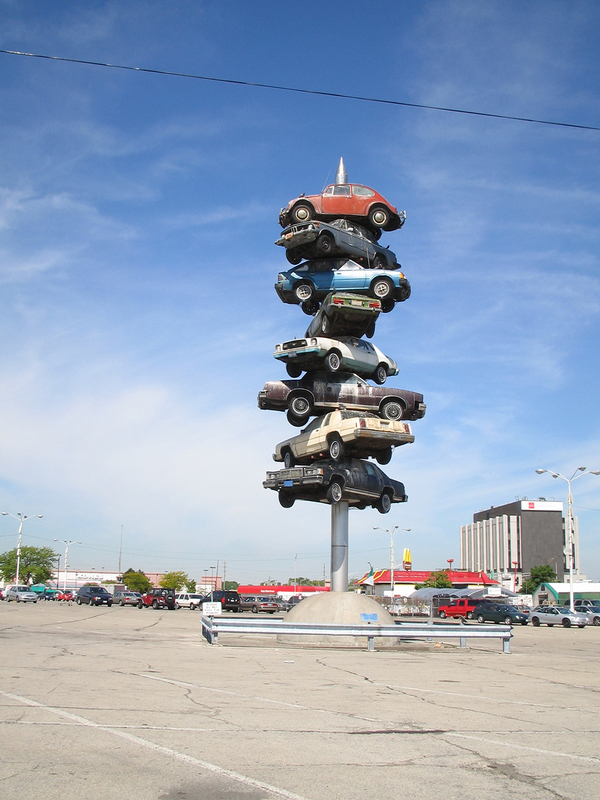 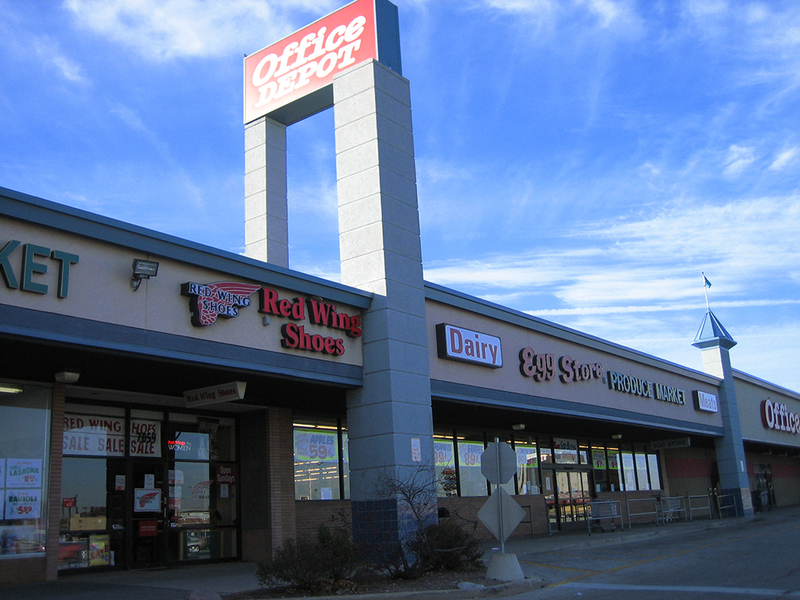 Located in the near west suburbs of Chicago, Cermak Plaza is not just another shopping center. 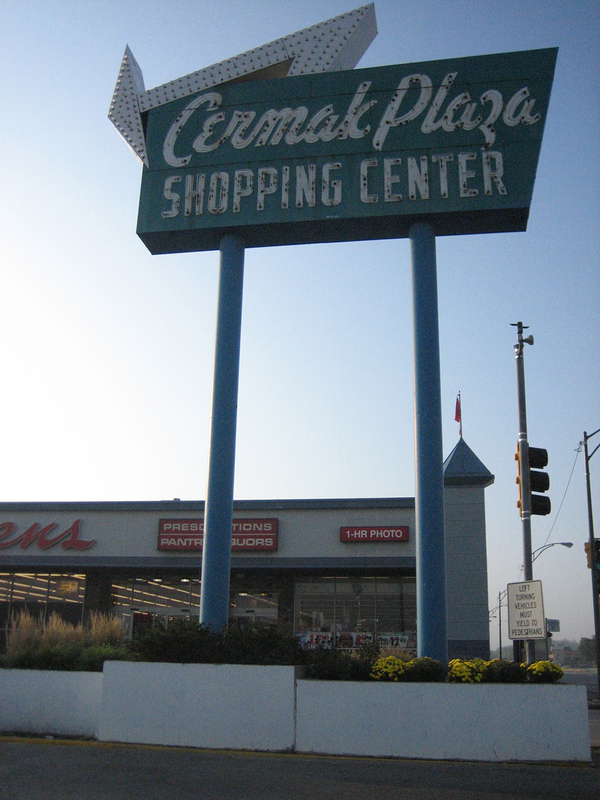 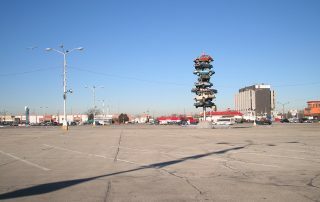 Being over half a century old the 310,000 square feet Cermak Plaza has an excellent location but was starting to show its age; it began to face intense competition in its trade area. 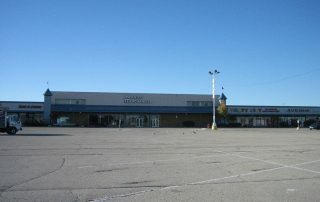 In 2010 Concordia Realty www.concordiarealty.com began a dramatic revitalization of the property that would bring new occupants back to this local landmark. 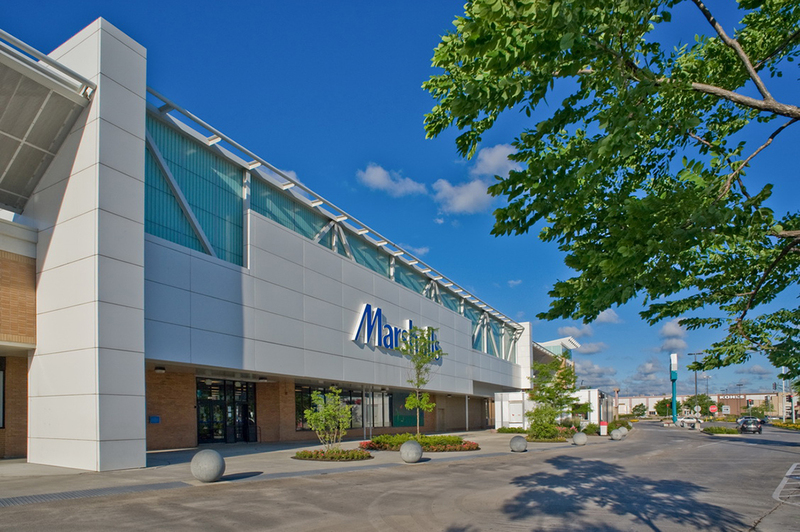 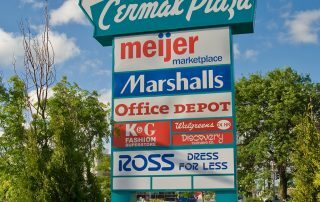 Concordia started Cermak Plaza’s turnaround by moving Walgreen’s to a never developed out-parcel, backfilling that space with K&G Menswear, expanding an already outstanding Marshalls to 33,000 square feet and replacing a vacant Circuit City with Office Depot and Dollar Tree. 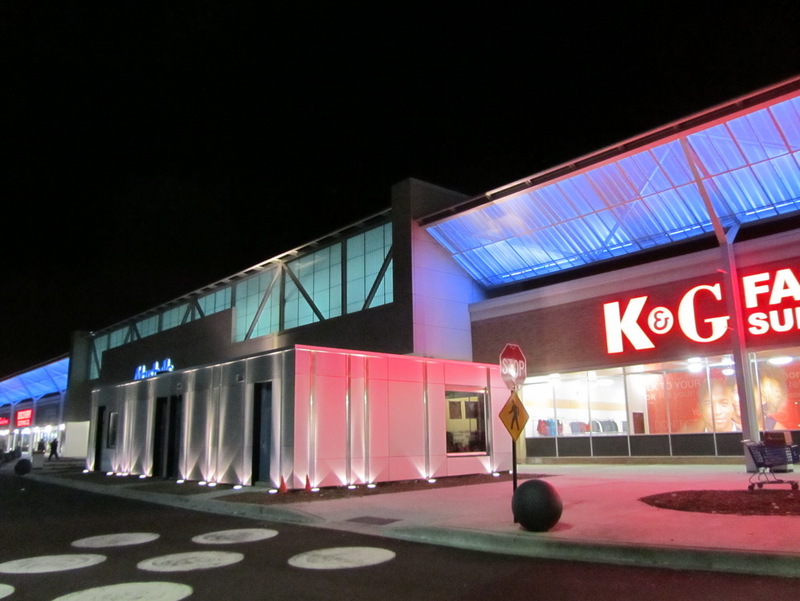 Ethos Workshop was commissioned to design the new façade and Town Builder Studios was tasked to design the site work for the $15 million dollar project. 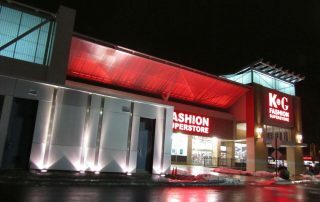 The redevelopment included a complete façade upgrade including a series of structural steel wings that are illuminated at night with Lumenpulse RGB fixtures LED fixtures that give a nightly light show above the storefronts. 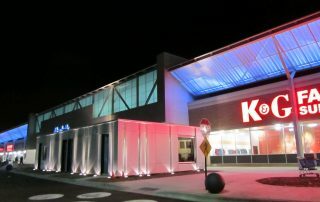 The façade now has an artistic design aesthetic with modern, energy saving clean technology, as well as long product life and low maintenance costs. 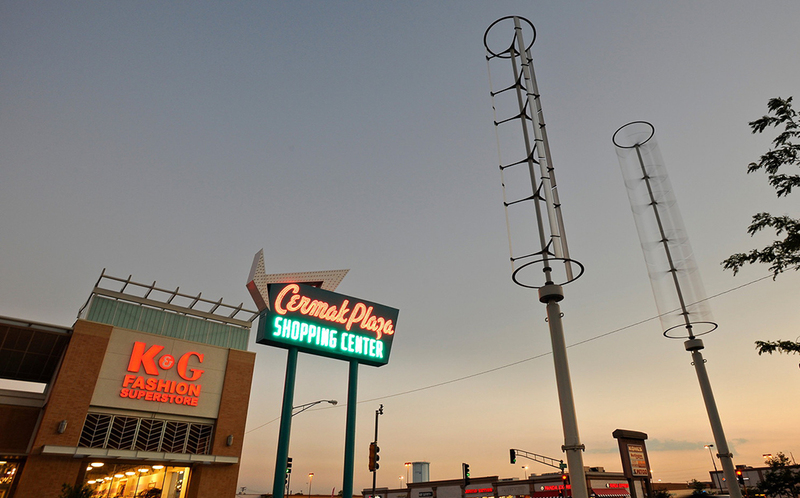 The solution also takes the greener element of LEDs a step further; Cermak Plaza powers the RGB fixtures with 12 wind turbines that cultivate energy from the edge of the plaza’s parking lot. 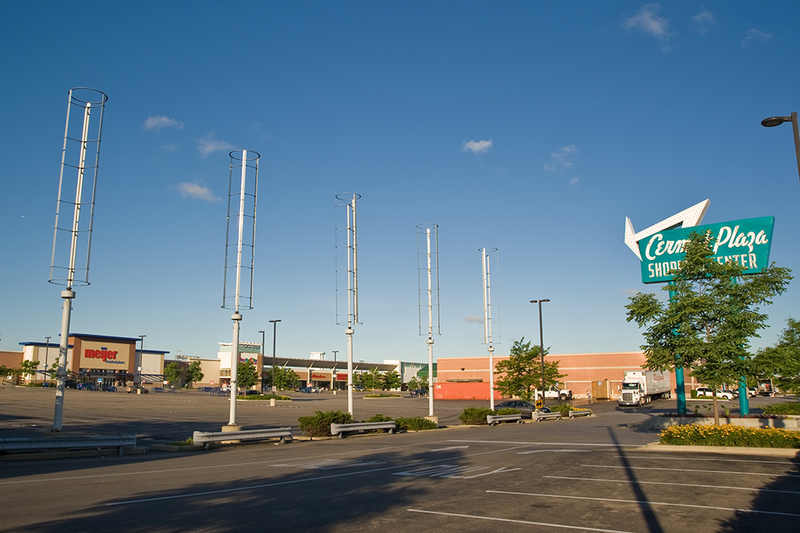 In combination with the energy efficient lighting, the 35 foot tall turbines are a dynamic, visible and recognizable environmental statement as well as artistic feature that generate 1,500 to 2,500 kilowatt hours of electricity each year. 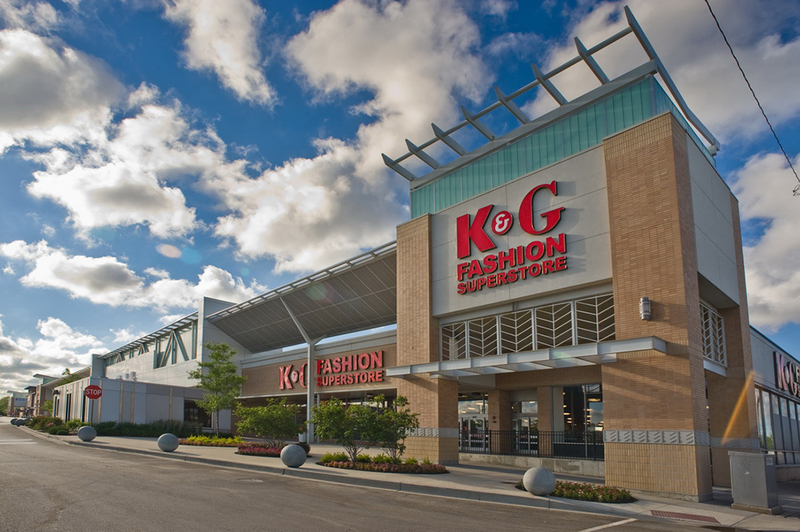 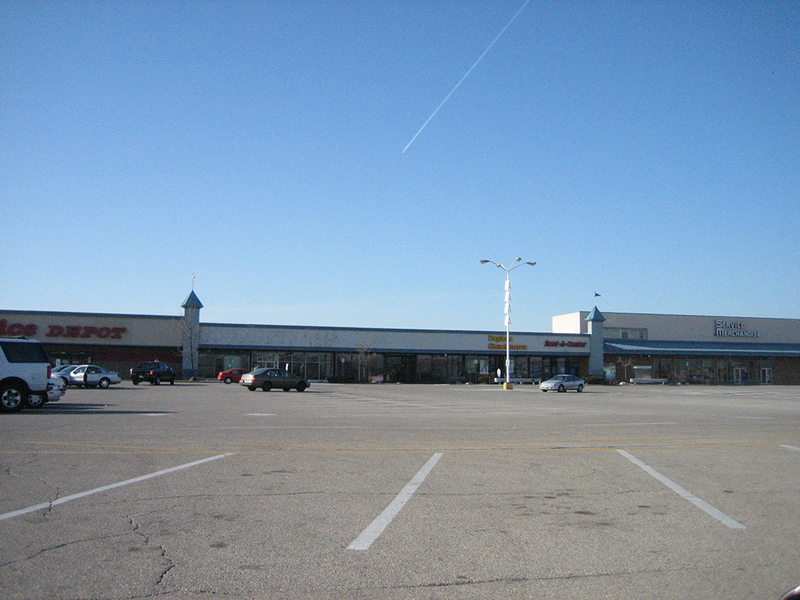 In 2011 one third of the shopping center was demolished and a new pad prepared for a 93,000 square for Meijer Marketplace ground lease. 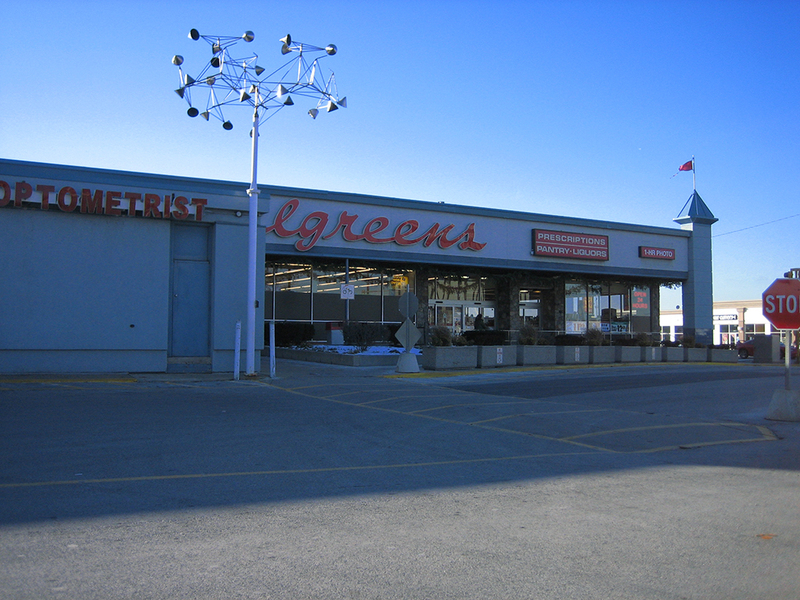 The last phase of the redevelopment was Meijer opening in 2012 and the refurbishment of the existing retro 1960’s neon pylon signs. 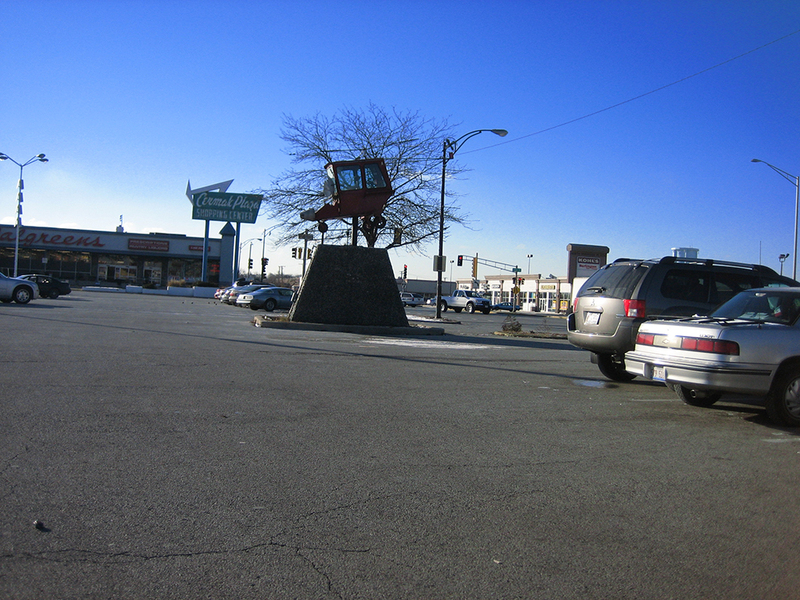 As a part of the redevelopment the front and east side parking areas were also redesigned with additional landscaped islands to improve traffic safety and beautify the center curb appeal. 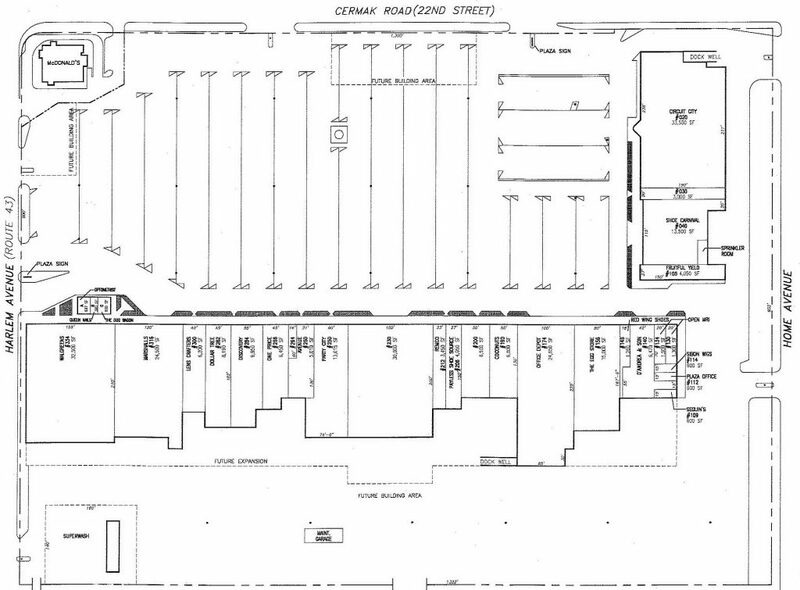 In addition, a StormTrap underground detention system was installed under the east parking area to divert storm water from the MWRD system. 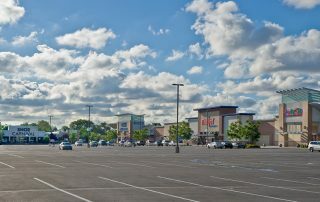 The redevelopment has also included removing all of the known asbestos containing material from the property, removing more than 20 underground oil storage tanks and remediating soil contaminated with petroleum and perchloroethylene products. 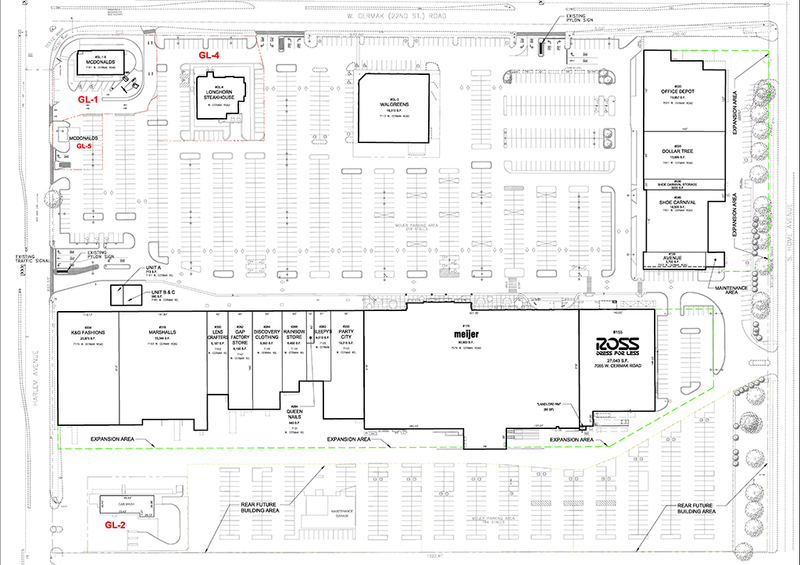 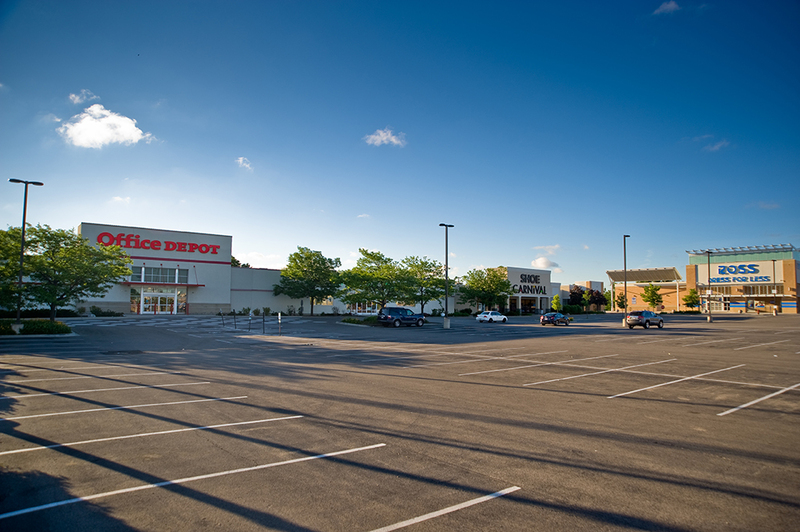 The final phase included demolishing 25,000 square feet of existing shopping center on the east end of the property to build a 27,000 square foot Ross Dress for Less and expanding a 4000 square foot end cap for an Avenue store. 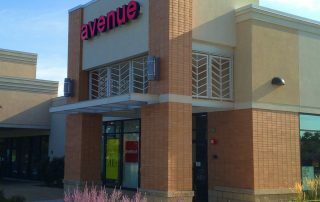 The work was paid for with three (3) tranches of debt financing plus a sales tax rebate from the City of Berwyn to accomplish the work. 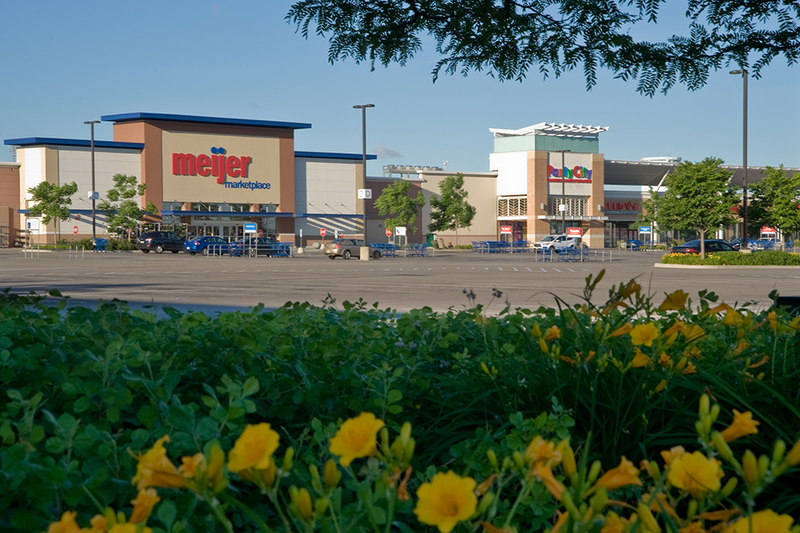 Because of the the ever changing Retail Real Estate landscape and adverse political decisions, Meijer decided to close three (3) Cook County, Illinois stores in June 2017. 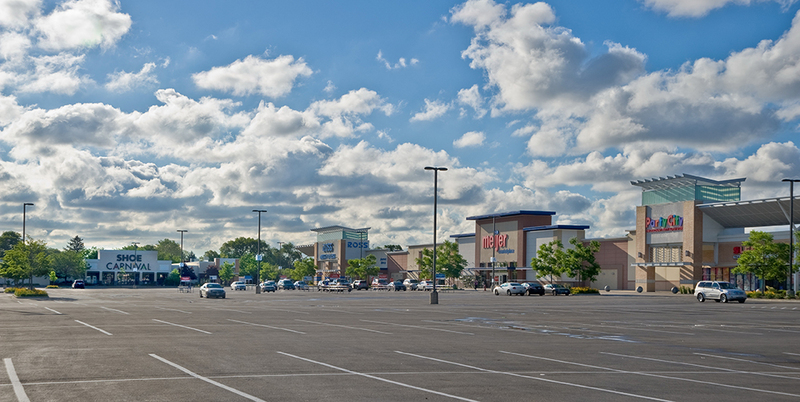 Within five (5) months, Concordia Realty was able to secure Tony’s Fresh Market for a 71,000 square foot store. 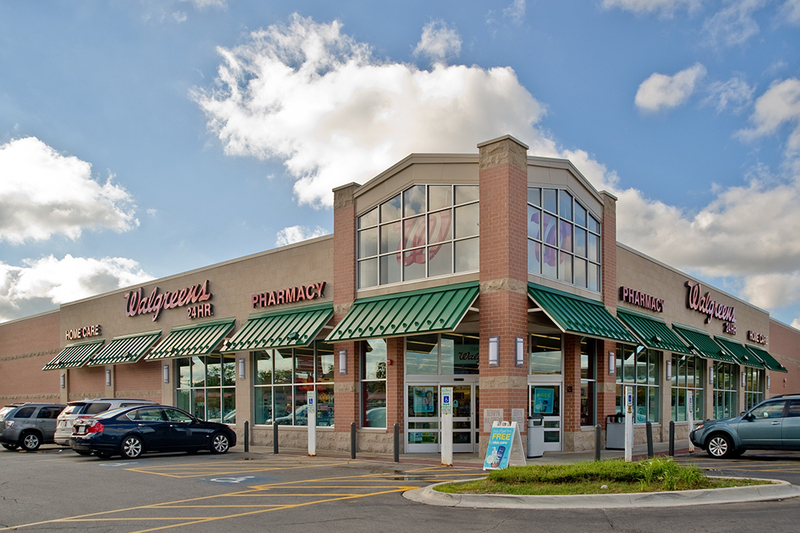 Tony’s is the dominant local grocer in Chicagoland with store sales productivity way above national averages. 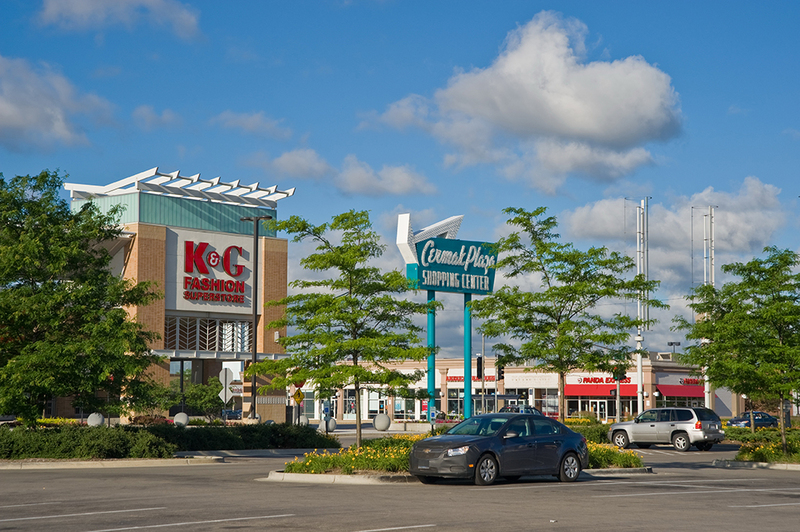 The redevelopment has created a beautiful, landmark property that is safer, cleaner, more functional and sparked a revitalization of the surrounding business district. 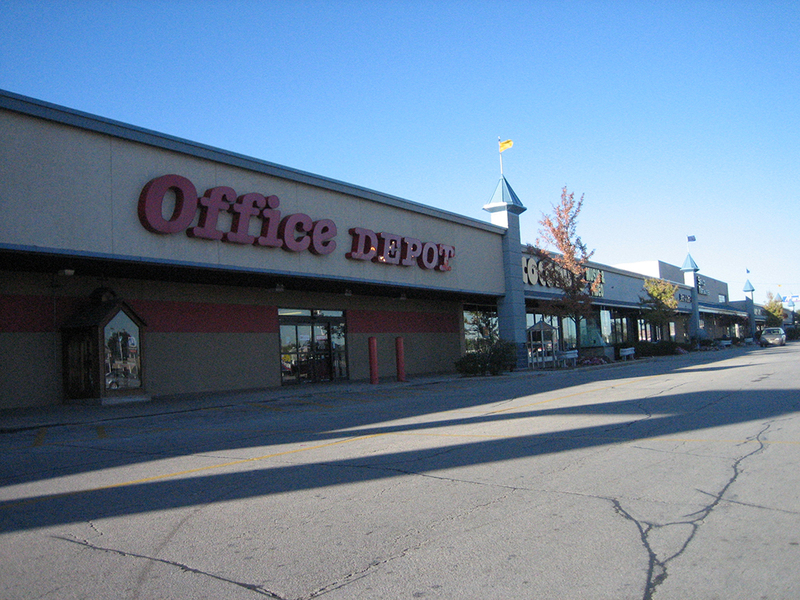 The investment has paid off in a 312% increase in NOI and Cermak Plaza is currently 100% leased. 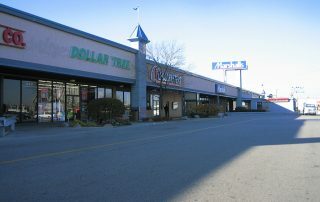 Secured life company financing with the assistance of Matt Schoenfeldt and Jay Marshall of HFF www.hfflp.com in 2009 with 35% vacancy !!!!!! 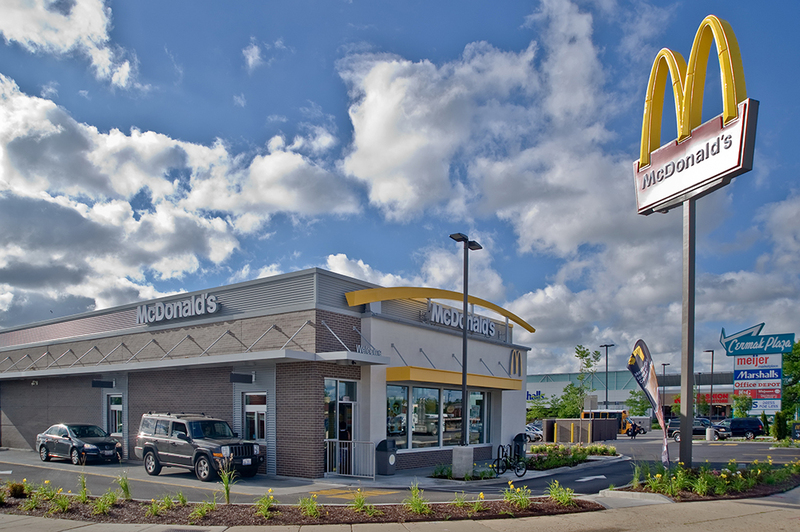 Expanded McDonalds parcel and extended their lease term with additional rent. 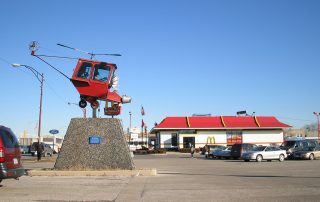 McDonalds completed a tear-down redevelopment of their restaurant. 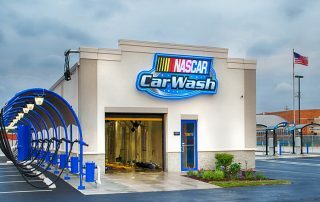 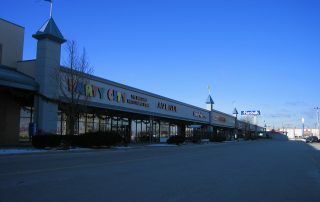 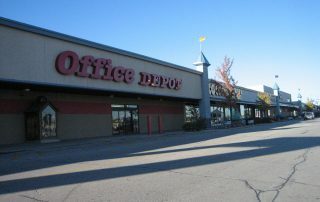 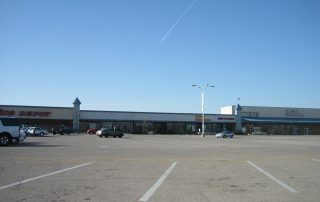 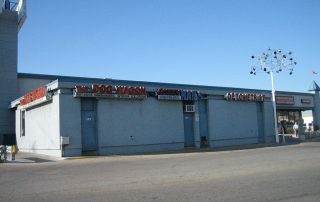 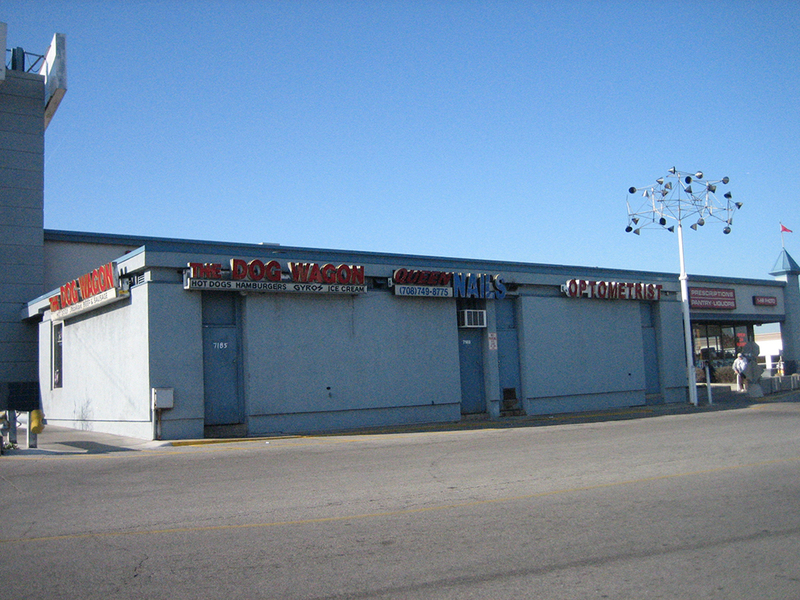 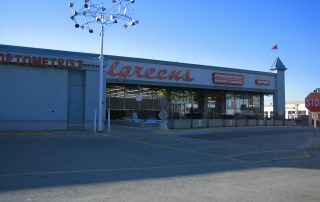 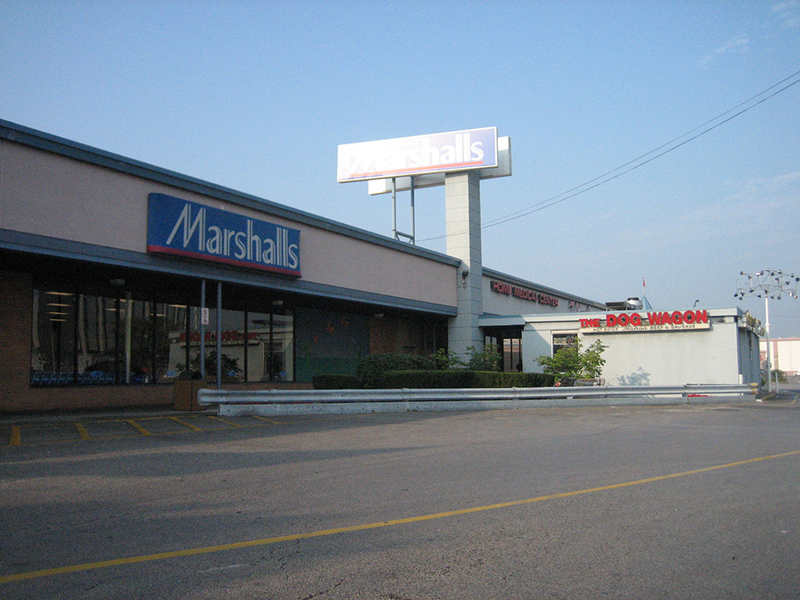 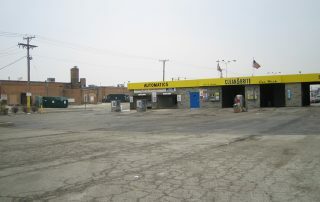 Completed a 27,000 square foot lease with Ross www.rossstores.com which required the delivery of a “warm shell”. 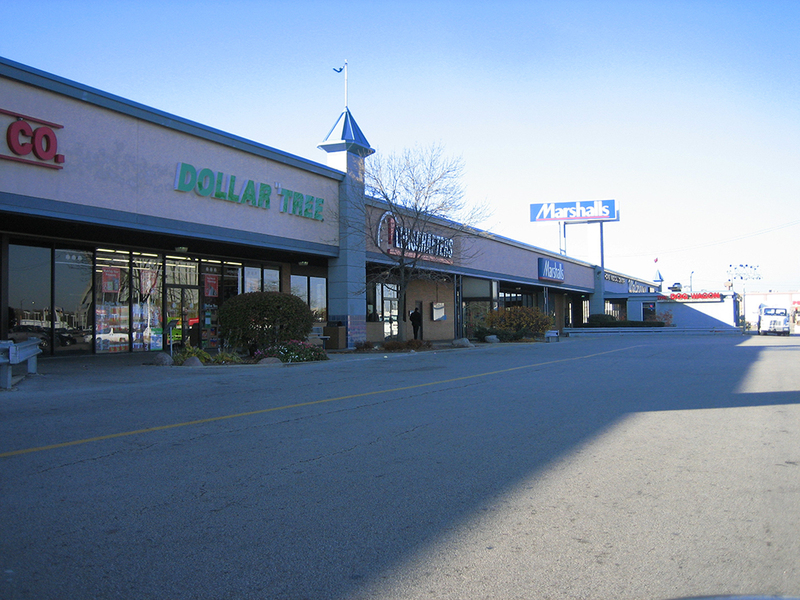 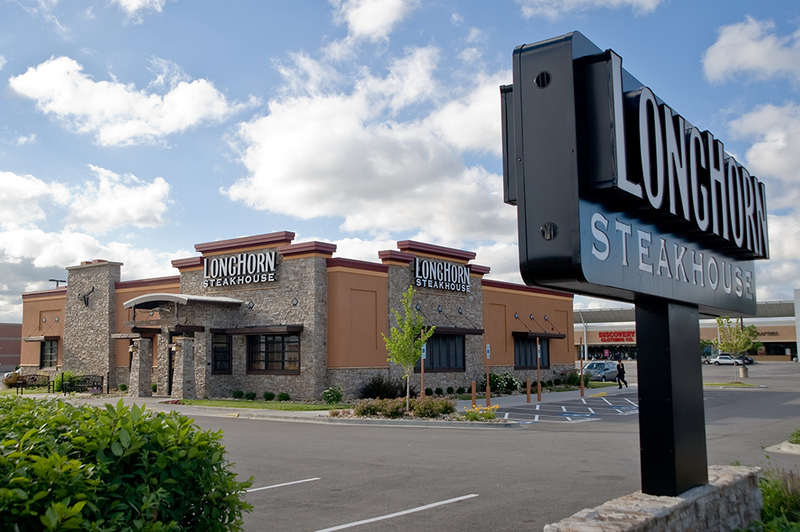 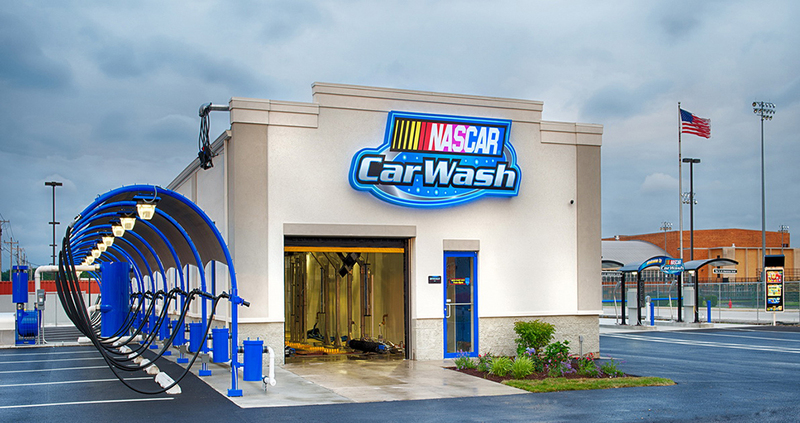 Worked with HFF and lender to secure additional $4 million financing to complete project. 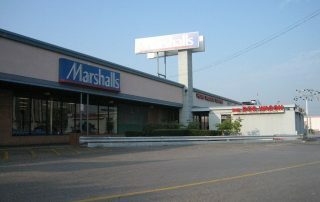 Engaged PFDA Architects, Inc. www.pfdainc.com to design shell. 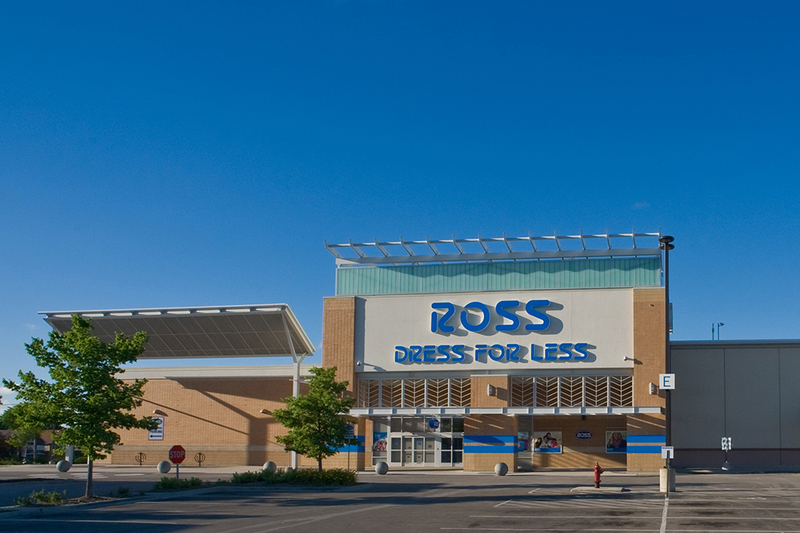 PFDA had worked extensively with Ross and knew their requirements and approval processes cutting time for delivery. Awarded contract to BuilTech, LLC www.builtechllc.com general contractors. 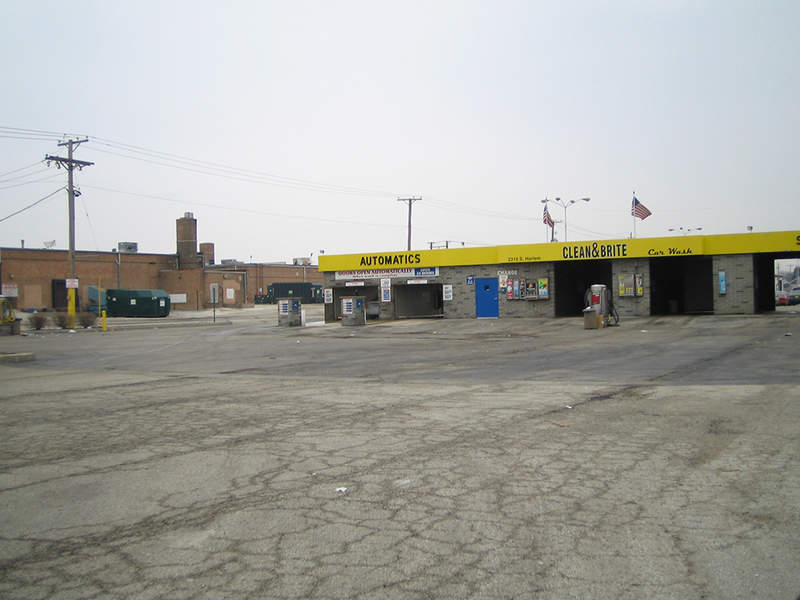 The project ran into several major problems from unsuitable soils to underground water detention system – BuilTech delivered ON TIME. 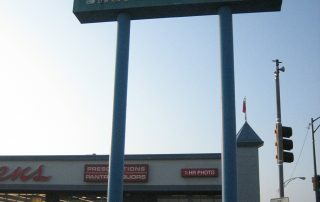 Great contractors! 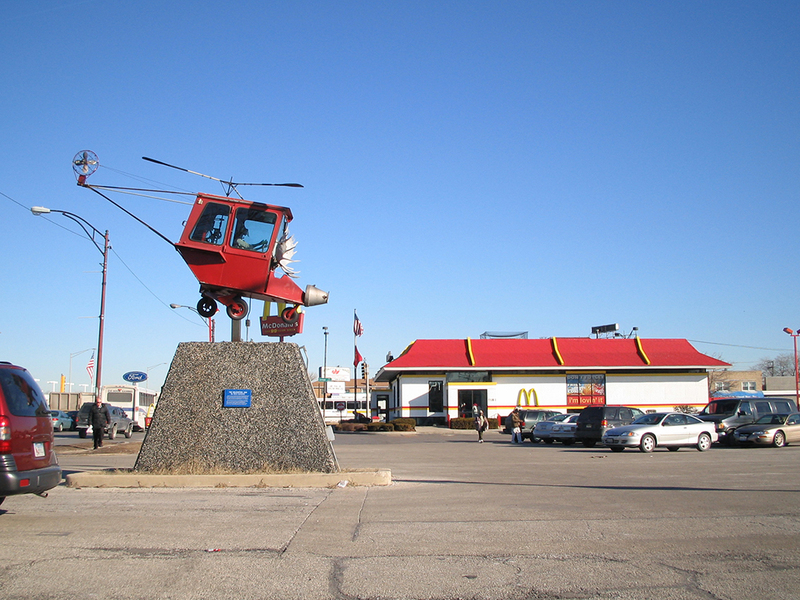 Negotiated a Tax Increment Financing agreement with the City of Berwyn for an additional $1 million to make the project work. 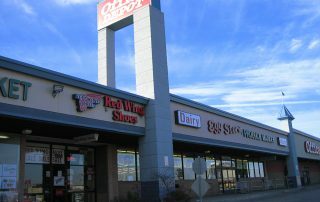 Completed a 71,000 square foot supermarket with the tenant paying a substantial portion of the Lease Termination Fee to former tenant. 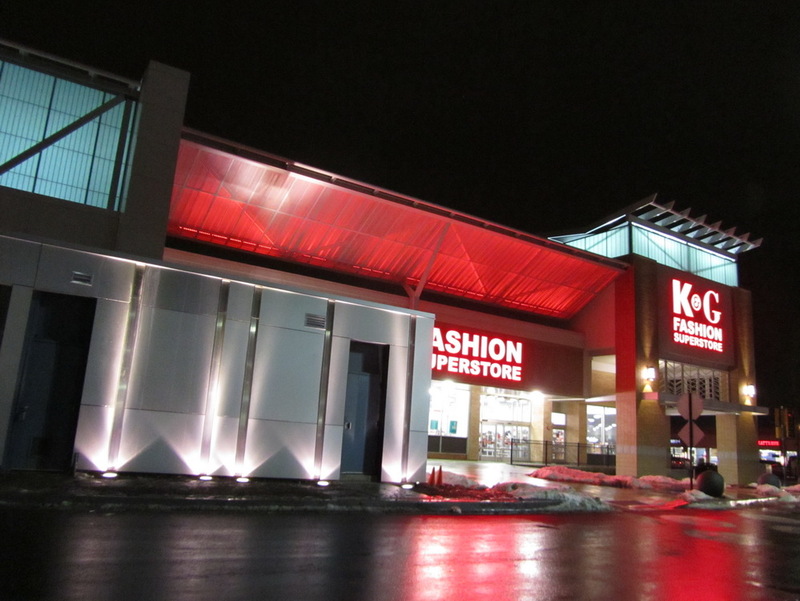 The architectural design and lighting combination has created not only a powerful design statement, but even more importantly spectacular business results. 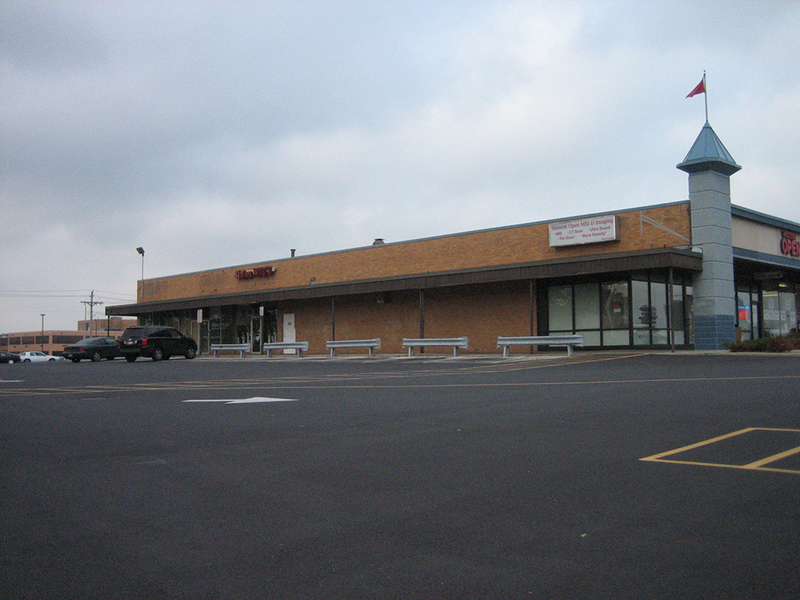 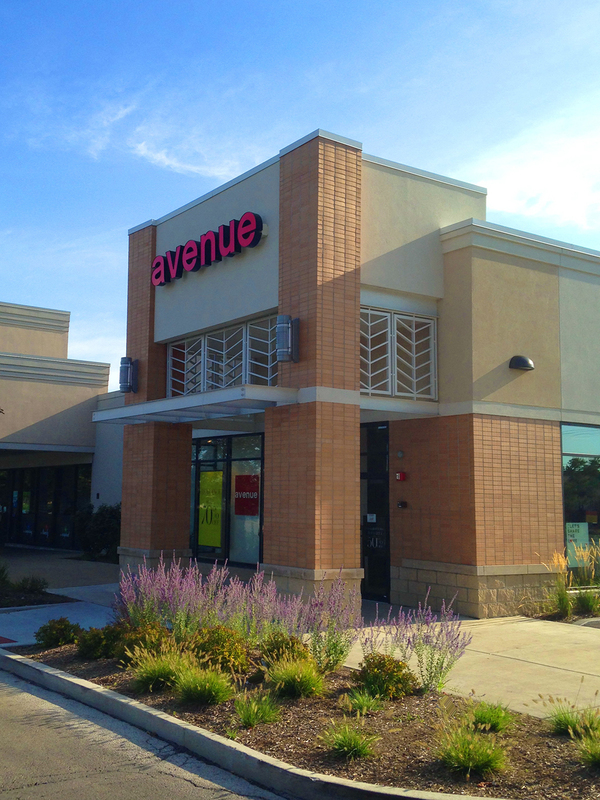 The investment has paid off on the business side, and the renovation has inspired increased commercial interest within the City of Berwyn culminating in recent leases the property to 98% occupancy.